Medleys often give us a highlight of all the best aspects of a single artist. The arranger transforms into a DJ, producing a beautiful movement of all the things an audience is sure to enjoy. But medleys do not have to simply be relegated to a single artist, oftentimes groups creatively focus on a particular theme that connects a myriad of songs. In today's Top 5 we're giving a shout out to those arrangers who go the extra mile by arranging multiple songs into one beautiful tapestry of art we like to refer to as medleys. From theme songs to Disney villains, nothing is off-limits, and it's all worth the often 5 minute run time. Oh sweet nostalgia! All of your favorite things about 90s and 2000s television come to fruition in this killer "Theme Song Medley" by UI's Intersection. It's part RnB, part pop, and all awesomeness! When it comes to covering Sia, your performance has to have range, power and attitude. None of these are in short supply in this medley by Butler's Soul2Soul. What's most commendable about this video is how the arrangement wonderfully fits the all-male group, without losing any of the qualities which makes Sia performances so appealing. 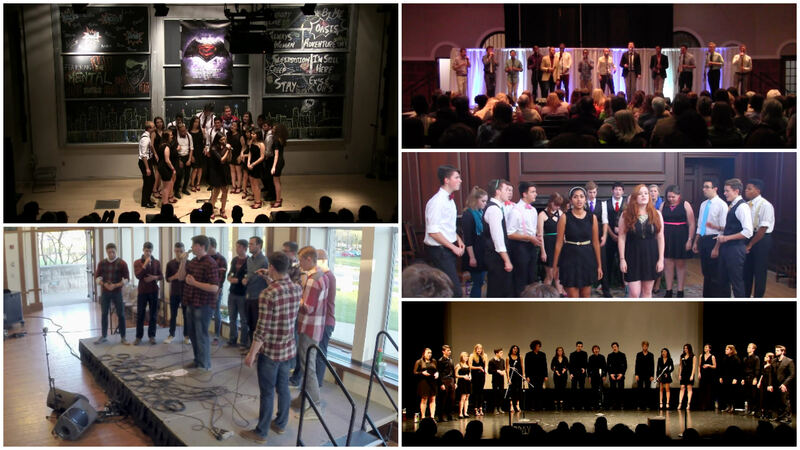 When it comes to college a cappella, we typically have three modes: tear-jerking ballads, high-octane jams or fun/humorous performances. Humor works incredibly well in the collegiate space, and if we're being honest, we could stand to see a bit more of it in a cappella. Thankfully, the JHU Vocal Chords go all in on the humor with this theatrical medley of songs from one of the biggest animated shows around, "Adventure Time." By now you should know that we cannot resist a good Beyonce cover. In the case of this "Crazy in Love Medley" by the Cleftomaniacs, we're treated to a double helping of enticing vocals as the group features two unique vocalists. And we're digging the backing vocals and percussion, which are flawless and exciting to listen to. So, it would be easy to include a Disney Medley into this list. Believe us, there are an abundance of them on YouTube. But not too many groups highlight the darker, sometimes more appealing parts of Disney movies, the villains. 7Days A Cappella will have you singing along to the hit songs of the people we love to hate in this "Disney Villain Medley."